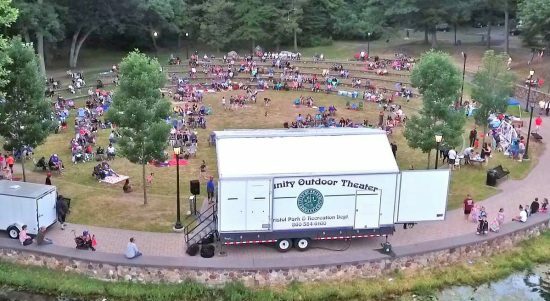 Bristol Parks and Recreation department, with sponsorship from a variety of community agencies will be holding an 8 week “Rockin Out at Rockwell- Summer Concert Series”. The free concerts are held on Tuesday evenings from 7:00- 8:30 pm at the Rockwell Park Amphitheatre starting June 25th-August 20th. We invite families and people of all ages to come out and enjoy the wide variety of music offered each week ranging from country, swing, Pop and so much more! There are plenty of seats at the amphitheater but we encourage you to bring lawn chairs, a blanket and snacks to enjoy a picnic in the park to the backdrop of amazing bands. Please note: Alcohol is not permitted in the parks. Rain dates will be held on Wednesdays weather permitting. There is no concert scheduled for the week of July 4. Easter Storytime & Annual Easter Egg Hunt!